Our cloud-hosted platform currently hosts a steadily growing set of clients spread across almost all the Expedia Group brands, multiple lines of business, and multiple problem domains. For each client, we work closely with the client dev team as well as their data science team, helping them use machine learning in production scenarios. The primary goal of our Lodging platform is to allow data scientists to quickly and easily create new predictive models and deploy them into a production environment with no required service changes in a scalable, low-latency system. Do you use any of the following technologies? We do! Docker, ECS, AWS Lambda, Amazon Elastic Map Reduce, Elasticache (Redis), AWS Data Pipeline, Dynamo DB, Mongo DB, Amazon SNS, Amazon S3, PMML, Openscoring, TensorFlow, Netflix Hystrix, Netflix Archaius, MS SQL, Qubole, Amazon Athena, Splunk, Graphite, Grafana, Hive, Hue, AWS Cloudwatch, Presto, Chef, Spring Boot, JQuery, Thymeleaf, Highcharts, Google Protobuf, DataTables, and Hadoop. We're looking for full-stack devs who believe in continuous improvement (for themselves and for the systems they own), are not afraid to take on big challenges or ambiguity, and have an ambition to get things done. You will write awesome software - scalable, performant, maintainable, resilient...stuff you'd be proud to put your name on! Our team is based in Bellevue and uses a Kanban-like approach, with devs pulling work off a prioritized backlog on an ongoing basis, with checkpoints and demos every two weeks. We believe strongly in engagement, shared ownership, and empowerment. Team members put out code that they are proud of, identifying and filling any gaps as needed. We empower everyone on the team to make the decisions that they need to in order to get work done efficiently, with minimal management overhead. Team members have areas of focus, but we stay away from siloing – every team member has the freedom and ability to work on anything the team owns. The burgeoning field of machine learning is poised to fundamentally change the software industry. We have the theory, the data, and the compute resources needed and now the challenge is to take ML out of the lab and into the real world so that it can help address actual user needs in real-time and at scale. This is where our team comes in: the Lodging Sort team builds an ecosystem of services related to machine learning – services for scoring, simulation, analytics, diagnostics, business intent monitoring, historical trending, and predictive model conversion, validation, testing, tuning, and lifecycle management. This ecosystem of interconnected micro services splits up into three categories: model serving, data scientist-facing, and supplier-facing services. The core use case of our platform is ordering hotel search results in the most optimal way possible for each request. 70% of hotel bookings happen from the first page of search results, and ~70% of Expedia’s revenue comes from hotel bookings, so getting that sort order right is hugely important. According to estimates, the sort team is responsible for a ~7% lift in overall lodging revenues. The team uses a wide variety of technologies, frameworks, and tools every day, as we are a full stack team. We mainly code in Java, but there are some components written in Node.js, React.js, Scala, C#, SQL/HQL, and Python. We’ve invested heavily in AWS – our plan is to retire the vast majority of our data center-hosted pieces by the end of this year. 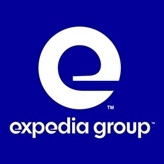 Software Development Engineer - Full Stack at Expedia, Inc.